If you were born in September consider yourself lucky to have a rainbow of color choices when it comes to your birthstone. 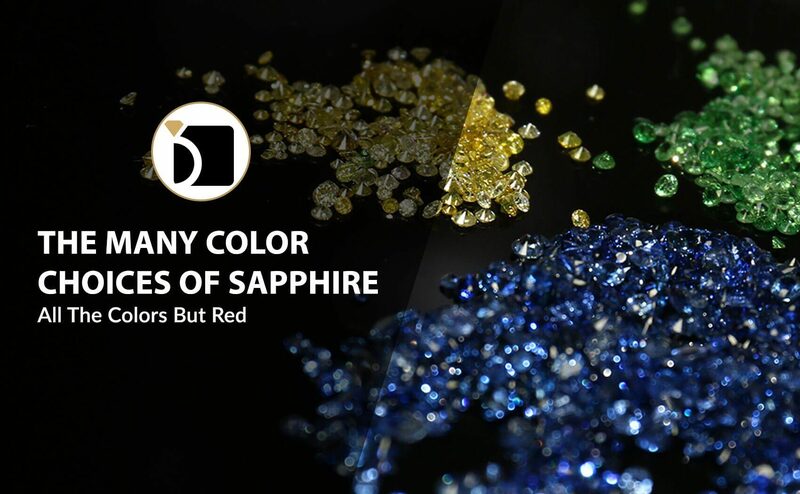 Sapphires are most commonly associated with the color blue, but they are available in all colors except red, and when the stone is the color red it is a ruby. When a sapphire is a color other than blue they are considered fancy sapphires, and the major fancy sapphire colors are Padparadscha, pink, purple, orange, yellow, green, colorless, and black. What color is Padparadscha? It is a beautiful color that ranges from a light to medium pinkish orange to orange pink, and some describe the color as salmon or like a sunset. It typically has a higher per carat value compared to the other fancy color sapphires. Sapphire is one of the 4 precious gemstones, the other 3 are diamond, ruby, and emerald. It is a member of the mineral family corundum, and is a durable gemstone which makes it a practical choice for jewelry that is worn daily. It is rated 9 on the Mohs Scale of Hardness, and the only gemstone harder than a sapphire is a diamond. Although sapphires are durable, your sapphire jewelry will still need routine care and maintenance to keep your precious sapphires looking their best and safe in their mounting. MyJewelryRepair.com can help with any sapphire ring repair or sapphire necklace repair with our easy to use online and mail in process. Just visit MyJewelryRepair.com and click on Get Started to begin your online sapphire jewelry repair from the comfort of your home.